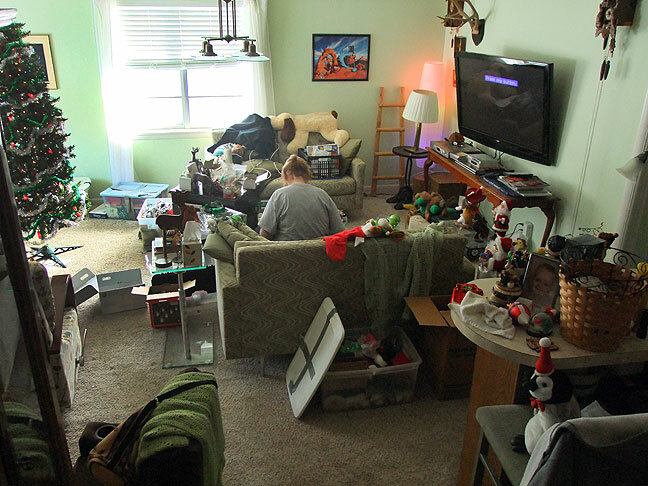 Early in the process of decorating, the living room looks like a garage sale. 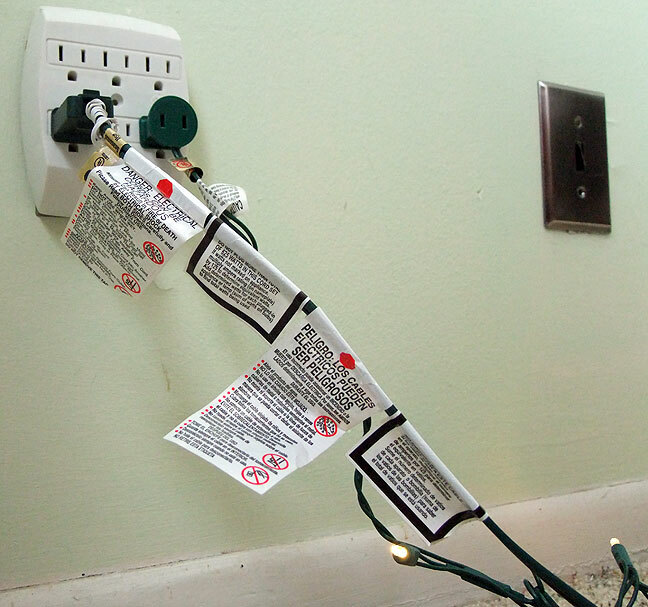 I was surprised and annoyed by how many warning tags were stuck on our tree’s light cord. Abby and I put up our Christmas tree today. It’s an arduous task, but we made the best of it. Most of it is doable by me alone, but it was particularly nice to have Abby feed me some extra-long strands of garland. Afterwards, we were both dizzy from going around and around the tree. 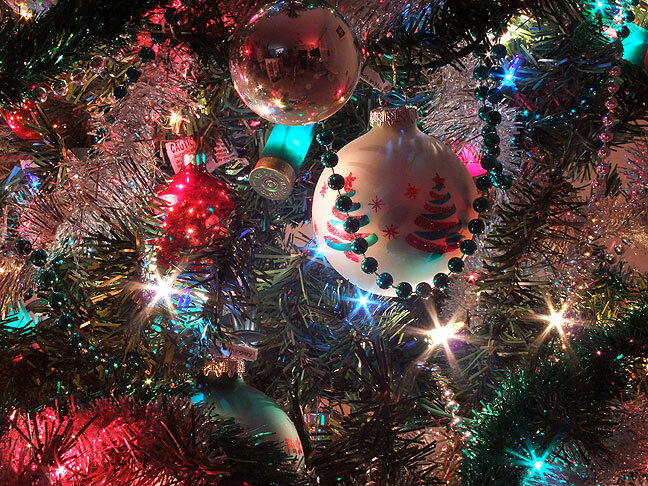 I learned to decorate Christmas trees from my mom, and I do it well. The kids (Chele and Tom and their son, our grandson Paul) are coming for Christmas. As always, i deliver the goods: a spectacular Christmas tree. Laughed aloud at the warning labels photo… We generally cut off the labels — or most of them — first thing.